At the end of August, central bank liquidity was at its lowest level since the early 1980s, according to the data which our friends at CrossBorder Capital monitor. The index stands at 13.8 (range 0 to 100) and only the People’s Bank of China is still following a relatively loose policy. We shouldn’t perhaps be surprised by this, coming after nearly ten years of Quantitative Easing (QE). But an environment of tight money undoubtedly heightens the risk that someone somewhere is unable to pay their bills and the first domino falls. In contrast investors are relatively sanguine and ‘risk-on’ in aggregate. CrossBorder’s measure of this metric is at +33 on a scale of -50 to +50, which is consistent with what we hear on the street. Many professional investors are preferring to remain invested for the time being. Although there are pockets of light in the liquidity environment (China and, surprisingly, the UK where corporate cashflow is strong), at Linchpin we would argue strongly for a defensive ‘risk-off’ stance. The overall levels of liquidity are pointing unambiguously to, at best, soft economic growth and, at worst, a recession if Central Banks tighten further. Given investors’ positioning, that is unlikely to end well for those exposed to too much risk. 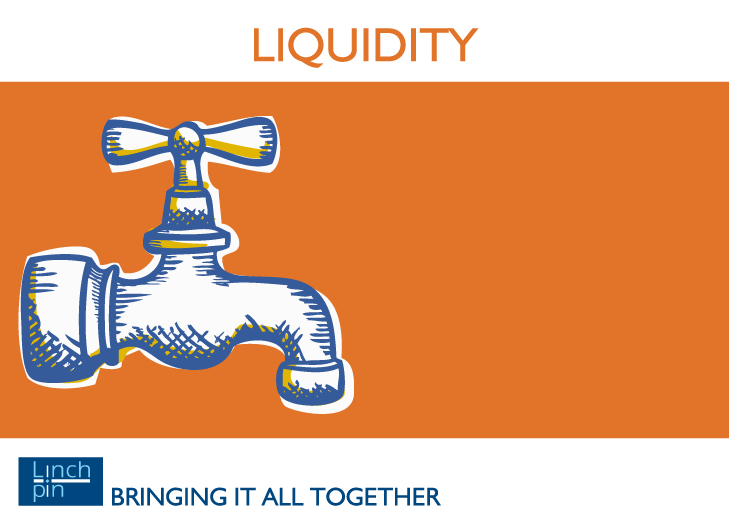 To learn more about CrossBorder’s research on liquidity please click here.